Make a style statement with the contemporary Dial Kai Lever 2 Control Bath Valve with 3 Mode Handset and Bath Filler Waste. Featuring a brass body which has been engineered for maximum flow rate, the valve has 11 separate flow positions for complete showering flexibility whilst the built in thermostatic valve gives precise control of the temperature. 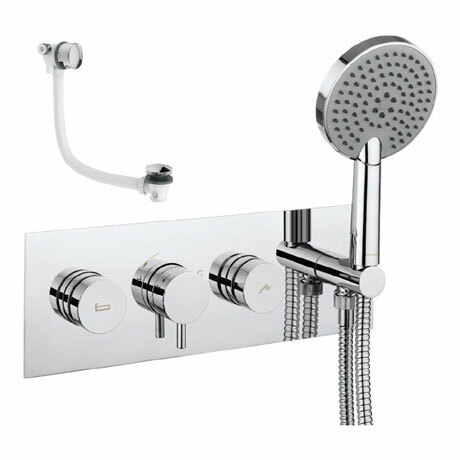 This set includes an Ethos 3 mode handset, hose and Mike Pro bath filler.